Show Your Support Coming and Going! 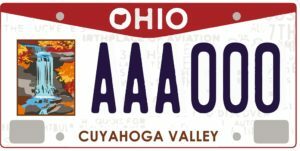 $15 of every purchase of the Cuyahoga Valley license plate comes to the Conservancy. Exchange your existing plates at oplates.com or at your nearest BMV location.